Hello! 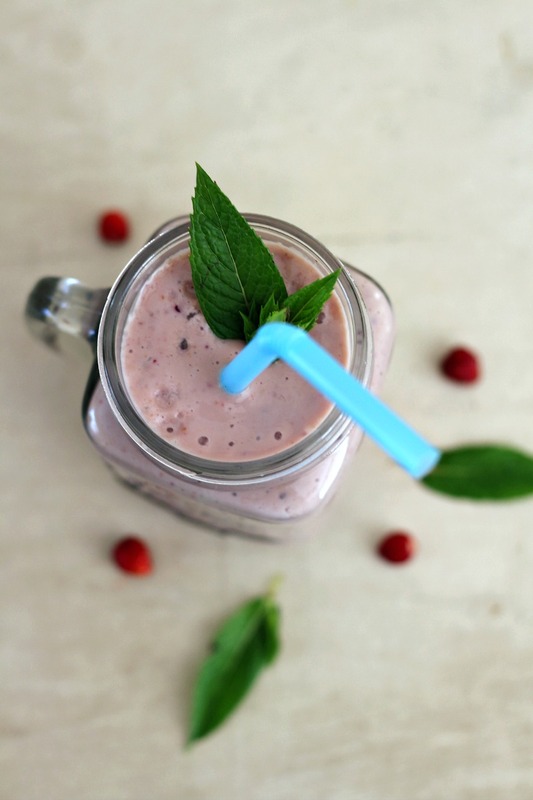 Today I am talking about smoothies, oh I love them. And for this post, I am partnering with Nutrisslim / EST Facebook. Nutrisslim is quite new to me, but I'm going to check out more of their products and definitely talk about them here on my blog. But let's get started! So I made two smoothies: purple & berry and strawberry & banana. Easy to make and I'm almost sure that you have everything already in your fridge or cabinets. But what you don't have are Nutrisslim protein powders, I enjoy adding them to my smoothies, especially before a workout or after. 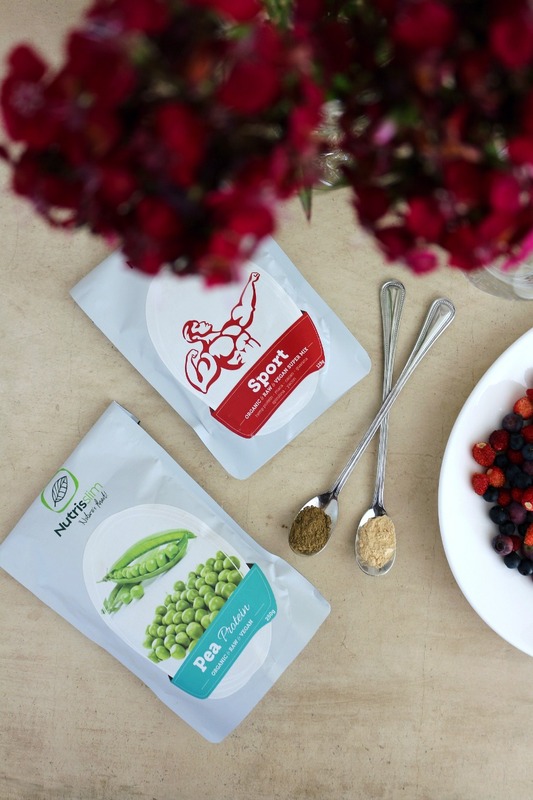 I use right now Sport and Bio Pea Protein. Both proteins are raw & organic & vegan. 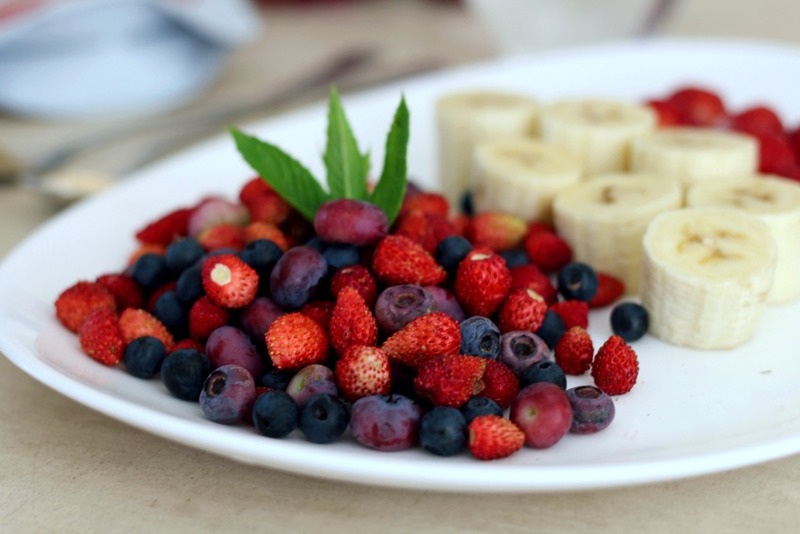 I highly recommend adding superfoods into your diet, I believe in superfoods and I see the differences when I'm using them. You need one banana, a hand full of strawberries (I used both wild and usual ones), your choice of liquid (water, almond milk, soy milk, milk etc), peppermint leaf to add some minty taste, I added some blueberries but not too much and finally I added Pea Protein one full teaspoon. I don't like to add too much because it is very powdery and it doesn't mix in perfectly. Tip: Add Pea Protein in pasta which has some sauce and blend it in. I love how it tastes in pasta. 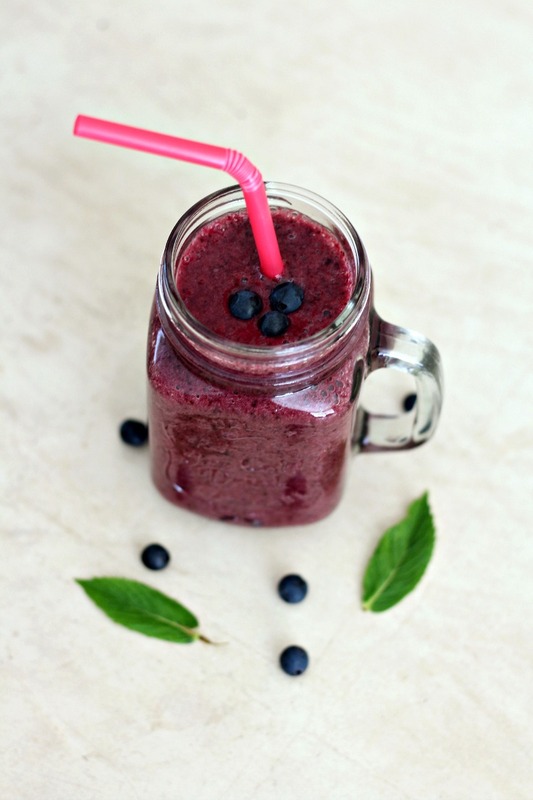 You need a handful of blueberries, half of the banana, some sorts of liquid ( your choice), you can add some spinach as well and finally, I added two teaspoons of Sport Protein. 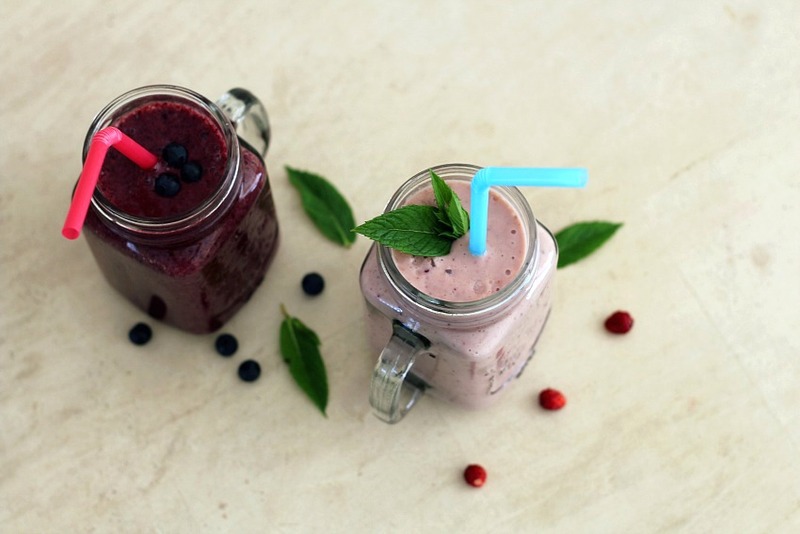 Super easy to make and plus smoothies are good for you! Keep your body and mind healthy!